I’m going to tell you something astonishing, that you didn’t know before. Ready? What do you mean, was that it? What do you want, blood? Anyway, I personally think twitter is one of the best reasons for the internet. It’s connected me with so many different people, and given me confidence to do things like keep writing, keep blogging and start my own podcast. BUT I know that not everyone ‘gets’ twitter yet. I had at one stage considered doing my own little ebook guide to twitter. But someone beat me to it. Nicola Morgan, whose book Wasted I reviewed here a while ago, has just launched Tweet Right; her introduction to twitter for, as she puts it, ‘nice, sensible people’ (yes I know there were a million commas there). It does exactly what it says on the tin (sorry, comma hell followed by cliche hell. Get over it), and cuts through all the rubbish that people say about twitter. People, generally, that don’t use it by the way. If you know someone who is intrigued by twitter but doesn’t know how to start, or who wants to use it but is struggling, I highly recommend Tweet Right. Or if you have somehow come to this blog NOT via twitter because you don’t use it and don’t get it (hello mum). Nicola holds your hand through the first steps on the social network from getting registered to using a twitter client. There’s even a list of people you could follow, helpfully broken down into categories. Followers, etiquette, Follow Fridays, DMs, hashtags, games (from a worldwide trendsetter, by the way) are all explained in a clear and accessible style with helpful tips along the way. I would imagine that few people using or thinking of using twitter will not find something helpful and interesting here. Nicola’s launch blogpost on Help! I need a publisher also mentions the concept of #TwitterAngels – someone to welcome and guide a complete beginner through the first stages of tweeting. I think this is a brilliant idea – wouldn’t the world be a nicer place if everyone offered to be an Angel for someone and hold their hands through something new? – and I’ve volunteered myself. Check Nicola’s blog for more information on this (I’d also keep a close eye on Nicola’s blog in the near future as I suspect the Crabbit One has grand plans afoot). In short, if someone needs an introduction to twitter, they couldn’t do better than to read this. 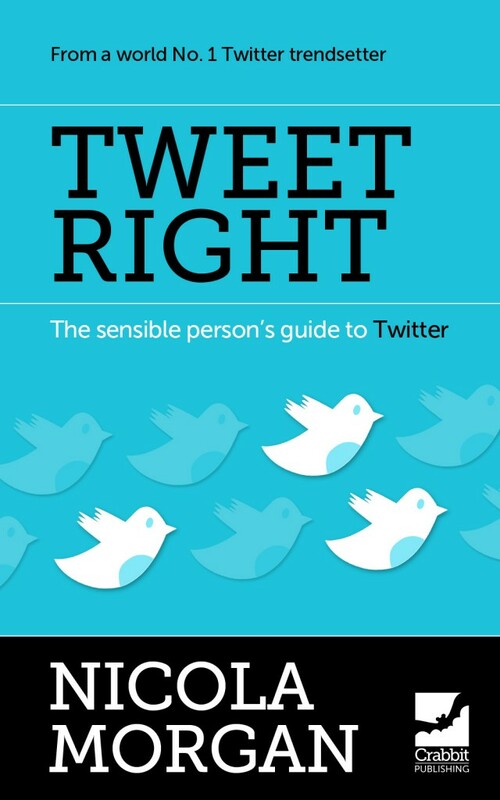 Tweet Right is available from amazon in kindle format (remember you don’t need a kindle to read kindle format books – there are apps for smartphones, pc’s and macs) for £2.74. Having just read yet another diatribe about ebooks – along the lines of real books smell lovely and feel lovely and I love secondhand bookshops and is the real book dead? 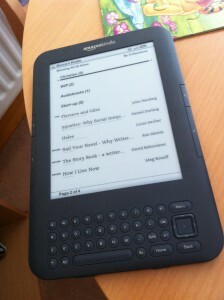 I don’t think so – I went away, had a quick seethe, and have returned to calmly put down a couple of my thoughts on ebooks. Yes, printed books look and feel lovely. I don’t have much of a sense of smell but it seems to be a general consensus that they smell lovely too. No argument from me so far. Secondhand bookshops? Fabulous. One of my favourite places in the country is Barter Books in Alnwick which is a real treasure trove, and an experience in itself. I was delighted to spend a lovely day there as part of my thirtieth birthday celebration, and found a rare copy of the story of my hometown’s co-operative movement, which I would never even have known about. Plus the shop itself is simply amazing with a mural that any booklover will gaze at for hours. BUT. But but but. I imagine that at some point in the dim and distant past someone somewhere said “You know, these beautiful parchments that these monks are spending hours illuminating and painstakingly writing out are so beautiful and they smell so lovely and they’re so nice to handle and that secondhand manuscript shop is such fun to browse through, it’s a shame to replace them with that modern new-fangled printing press.” And presumably someone else said “yes, BUT this modern new-fangled printing press will make books cheaper to make and sell and will open up access to reading and writing to thousands more people. That’s got to be a good thing, right?” I say presumably, as otherwise I guess we’d still be writing on parchment. You know what? 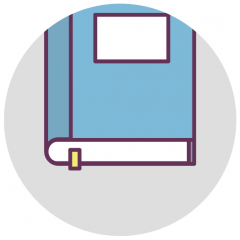 Ebooks make books cheaper to write and read and buy and sell and open up reading and writing, or at least make them more reachable, for millions of people. More people will read and write books than might have otherwise happened. Yes, that means there will be a load of rubbish done too, but people are having a go – doesn’t that count for something? I’m reading books that I just couldn’t afford if I had to buy printed ones (and I do still use my library, before people shout at me. A lot). If you ask me, the real death of the book would have been if there WEREN’T ebooks, as prices of printed books, distribution, discounts, etc etc etc would rise so that more and more people would be priced out of the market and books would have returned to being a luxury item. In my very humble and personal opinion with no publishing expertise at all. And while we’re sort of hovering around the subject, please DON’T use the term ‘real books’ with regard to printed books. It’s the content that makes it a book, not the material. If we’re going to be snobby about it, there’s plenty of books I’d say weren’t real books because, frankly, the content is dire. Printed on paper or screen. And the gatekeeper thing? I think I do agree that we need gatekeepers to help sort out the really good books and push them forward. I know I do, in the end, want to be published by a publishing house although who knows what will happen in the future, and don’t forget that I’ve done my own short kindle book (hint hint). BUT. Just say you’re browsing the kindle store. Yes, there are probably thousands of books you won’t come across because of the MILLIONS on there and that’s a shame. The thing is, we’re not living in an age where if you make a discovery about a book you really enjoyed you have to handwrite a dozen notes and get the footman to jog around to each of your friends’ houses to tell them about it. The means by which we actually have all of these books swamping the store, the little thing called the INTERNET, is also the means to spread the word about books you enjoy. I have 1300 followers on twitter, some of whom will read this, and retweet it to however many thousand followers they have, or hundreds, or tens, or even three followers. Whatever. The point is, in minutes I can tell people what I think of x book and more people will hear about it than I can shake a stick at. Nicola Morgan did a blog post this morning about a fantastic-sounding book called Florence and Giles. Within minutes not only had I bought it but at least three other people that I saw in my twitter stream. The books are out there, Scully. You just have to know where to look. Now, I’ve got to say that not all books work as ebooks. Coffee-table books, those beautiful tomes with gorgeous glossy photos and artwork just aren’t the same on screen, as technology stands at the minute. Some books relying on typography or texture. Some reflective or devotional books, arty books, books that use layout creatively. Not to say they never will be, just not yet. And I do still prefer to sit down and read a picture book with my toddlers. But who actually decided that it was one or the other? This isn’t VHS and Betamax. Print books and ebooks can co-exist, as long as we don’t descend to silly, can’t-be-bothered so-called arguments that end in a very dismissive and snooty Is the real book dead? I don’t think so. Is the real book dead? Give me a break. So reads the strapline on this gripping novel from Nicola Morgan, and it sums up the book perfectly. The story of Jack, who lives his life by the flip of a coin, and Jess, who comes into his life, had me by the throat start to finish. Luckily I was actually being looked after following a night of illness so I had the perfect chance to sit and read without worrying about children or housework or anything else that would have so rudely taken me away from Jack and Jess’ story. The pace is relentless, the main characters so perfectly drawn and the twists and turns of their lives so agonising that you can’t help but think “What if…” long after you’ve put the book down. It’s a Young Adult book, but really I think most adults would be equally as riveted by it, if not more so. Nicola makes you think about what the alternatives to your life could have been just by making one choice slightly differently, even the most seemingly trivial and irrelevant ones. I remember watching the film Sliding Doors eleven years ago with my new boyfriend, and I think that film had the same objective – what if one thing had happened differently, how would your life have gone? Wasted does this much more effectively and brutally and there are moments throughout that actually haunted me and replayed after I’d finished reading. As an adult reading this, I think Nicola’s writing had a much more poignant effect on me than if I’d read it as a young adult, ten years or more ago. On a different note, Nicola also captures tiny details that really bring that atmosphere to life as well as the breakneck feeling you get when true love coincides with the end of your school life; it’s like one life ending as another begins and Nicola gets this so perfectly. I actually felt breathless at several points and very often was transported back to the start of my relationship with my now-husband which happened at the same point in my life. It’s really excellent writing. Nicola has a non-fiction book coming out next June, called Write to be Published, and is running several workshops on this theme before then. I can’t recommend them highly enough, as this is so clearly someone who really knows what good writing is, and I’ll be doing my very hardest to get myself onto one! Check out Nicola’s blog or website for more details (this isn’t an official plug, I’m just genuinely that enthusiastic about this book!). Nicola’s blog, Help! I Need a Publisher! 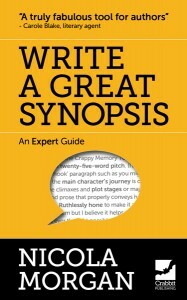 by the way, is one of my favourite blogs for writers. Unbeatable advice. Here’s the Amazon listing for Wasted; it’s available in paperback and Kindle version. Go and buy it…or flip a coin and let chance decide.